Chamonix is only 20 kilometres or 25 minutes from Courmayeur. A simple drive through the Mont Blanc tunnel will land you across the border and in the beautiful and historic Italian resort town of Courmayeur. Holders of a Mont Blanc Unlimited Ski pass have free and unlimited access to this incredible Italian ski resort. The town itself is centred around via Roma, a cobbled street with all the rustic charm one would desire in the Italian alps. Peak transfer offer both one way and return private transfers to Courmayeur from Chamonix which can be booked by phoning our office. Peak Transfer provide return transfers to and from the slopes for €160 per van or €80 for a one way service. Each van has the capacity for up to 8 passengers. Courmayeur has 21 lifts which have a maximum ascent of 2760 metres. There are 4 black pistes, 14 red pistes, 6 blue pistes and 3 green pistes so it is a fantastic place for intermediate skiers and snowboarders. Beginners can take advantage of the Mont Blanc ski school and advanced snow sportsmen and women can explore the off piste terrain Courmayeur has to be discovered. Courmayeur is known for its incredible and well-priced food available both on and off the slopes. During your day out in Courmayeur we highly recommend sampling some authentic Italian pizza, pasta and other delightful delicacies that are offered on the mountain. Much praised lunch spots include Chiecco or Christiana which are both by the Plan Checrouit Gondola. The Col Checrouit boasts Chez Croux for hot drinks and cakes. Val Veny is home to Grolla who serve cakes and salads and The Petit Mont Blanc who are famous for their roast suckling pig. If you’re interested in more than just a day in this beautiful region, there are great hotel options, après bars and a lively nightlife to complete your day, weekend or week in Courmayeur. The centre of town is entirely pedestrianised which allows visitors to enjoy the ambiance, window shop and trot from bar to bar enjoying beer, wine and cocktails along the way. 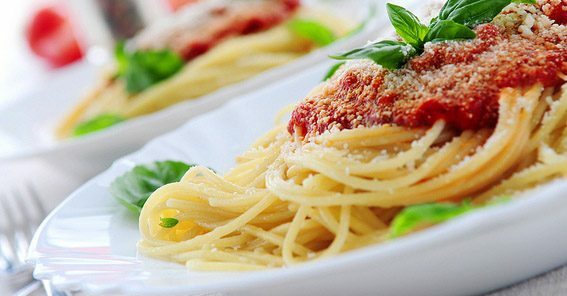 Once dinner time arrives there are countless traditional Italian restaurants to be sampled.